Hand-made by skilled artisans in the heart of Tuscany, the Brand Floor Lamp from the Daytona range at Signorini & Coco will bring a touch of glamour to your interior. This signature floor lamp features a sculpted and elegant base crafted from burnished brass. Two loops form a ‘D’ shape resembling the brand name. 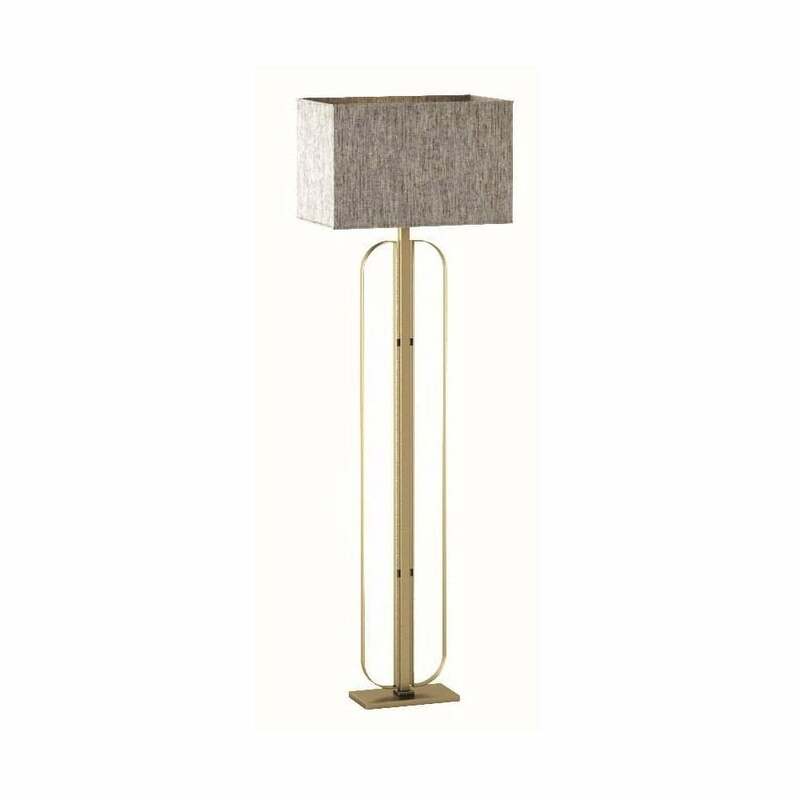 The table lamp is finished with a textured lamp shade in a sophisticated mushroom hue. A versatile design, style within a living space or hallway alongside modern shades of beige, buff and dusty pink. Combine with the matching table lamp and sconce for a luxe look. Get in touch with our team for more information.